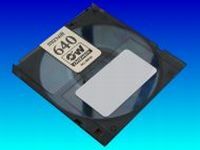 The file data was written to a Maxell 640 RO-M640 Magneto Optical disk. Unable to read disc as suitable reader not available. The recovery is brilliant news - thank you very much. If you need a Transfer 3.5 Optical Disc to CD service, then contact our friendly company. The file data was written to a Maxell 640 RO-M640 Magneto Optical disk. Unable to read disc as suitable reader not available. The recovery is brilliant news - thank you very much..